This is a 2018, 12 month wall calendar, Jan-Dec 2018. 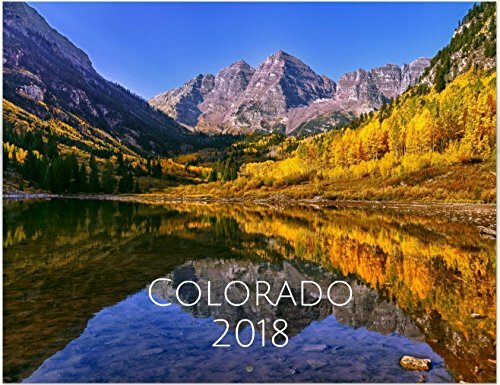 Images feature destinations in beautiful Colorado. Including Aspen, Maroon Bells, Crested Butte and the Flat Irons. Perfect as a daily reminder to get outside and explore. The calendar measures 8.5x11" when closed and 11x17" when opened and hanging. The calendar is printed on glossy paper in full color with ample room on the calendar for appointments and notes. Major US holidays and standard religious holidays are included. Each image is labeled with the location of the photograph. If you have any questions about this product by QuattroPhotography, contact us by completing and submitting the form below. If you are looking for a specif part number, please include it with your message. 2018 Calendar, Black & White, Wall Hanging, Minimal Handwritten, Marble Calendar, Wall Calendar, Hand Lettered Calligraphy, Christmas Gift.